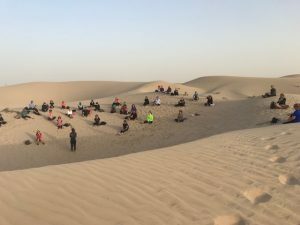 Forty-one women enjoyed a wonderful “Desert Walk and Meditation for a Cause” outing January 23 near Al Wathba Cycling Track. 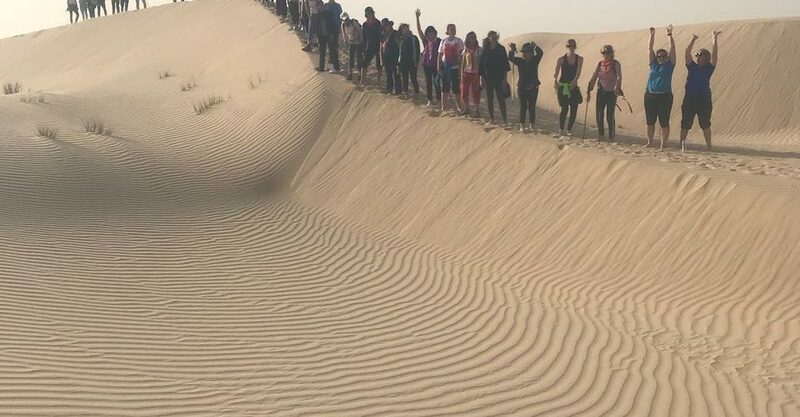 In support of two fabulous UAE licensed charities, Operation Smile and Make-a-Wish, we walked, ran, jumped, chatted, stretched, giggled, photographed, inhaled, exhaled, thought deeply, and dug our toes deep in the sand. 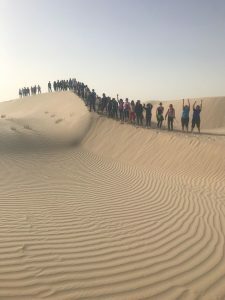 A big thank you to Amy Subaey from UAE Trekkers and Randa el Zein of Be You International.